The wind howled, knocking a tree branch against the window behind the living room sofa where Debbie sat, and she jumped. A little after eight o’clock and she’d seen only a handful of trick-or-treaters, mostly children from the neighborhood. Scott was in Chicago for a tech conference that weekend, and their twin daughters were both at their respective colleges until Thanksgiving, so Debbie was home alone that Halloween night. A low rumble sounded, and Debbie hoped a storm wasn’t about to hit. She hated storms, and she especially hated storms in the fall and winter, when the nights were already so long and dark. A sudden streak of lightning shone into the room, and an earth-shaking clap of thunder came a few seconds later, causing Debbie to finally close the new novel she’d been trying to read. Maybe a nice cup of tea would calm her nerves. She turned on the light in the kitchen and immediately screamed. A small spider was hanging from the ceiling by a thread, mere inches from her face. She batted away the strand, but when she looked for the spider, it had disappeared, which made her uneasy. She knew the spider was probably harmless, but she detested insects of any kind. Where there was one, there might be another. Debbie wished Scott was there to kill it for her. Although she hated spiders, she also hated the thought of one crawling up on her, so she refused to even get near them herself. Maybe that spider went up under the dishwasher. With any luck, it would curl up and die. After she caught her breath, she filled her electric tea kettle and waited a few minutes for the water to boil. She knew she would be up a while thanks to the storm whirling around the house, so she went ahead and made a whole pot of Pumpkin Spice Tea. 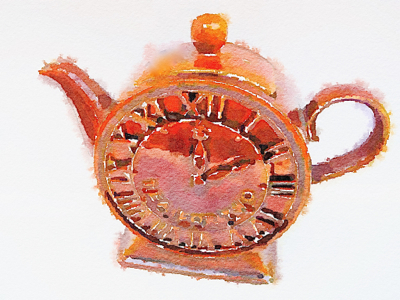 She was using the vintage teapot she’d found at an antique mall over the summer, a brown teapot shaped like a clock. It read “Tea for Two,” its hands permanently fixed in the two o’clock position. Debbie wondered if there was something significant about the two o’clock time on that teapot clock face since, traditionally, teatime was at four p.m. 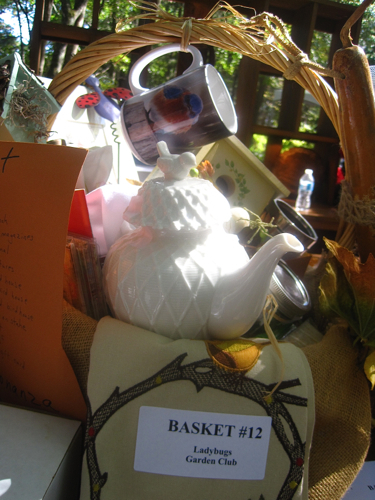 Probably, it was simply a nod to the "two" in the phrase "tea for two." That year, Halloween also happened to fall on the night that Daylight Saving Time ended for the year. As an English teacher, Debbie was somewhat obsessed about calling it, correctly, Daylight Saving Time instead of the more commonly used Daylight Savings Time. “When it goes into effect each spring, you’re not savings time, you’re saving time,” she always told her students. Of course, most high school students didn’t care at all about the time change, much less the grammar surrounding it. After her tea steeped for four minutes, Debbie returned to the living room. By then it was after nine, so she felt safe in turning off the porch lights. Few trick-or-treaters ever came after nightfall, but none would come in a thunderstorm. The lightning came faster, and the thunder came louder, but Debbie sipped her Pumpkin Spice Tea and tried to focus on her novel. Then, a bolt of lightning penetrated the living room sheers, bathing the room in an electric white glow. She easily made her way to the kitchen, and as she reached into the drawer where she kept matches and flashlights, she remembered the spider she’d seen earlier. A chill ran down her spine, but she had no choice except to reach quickly into the drawer for the flashlight. Thank goodness it worked. Holding the flashlight in one hand, Debbie used the other to root around in the drawer for that long-handled lighter she used to light candles. When she lighted her new cinnamon-and-apple-scented candle, she would at least have light to read by. The thunder and lightning continued, but the intensity was waning. With the warm glow of candlelight near her seat in the living room, she managed to pull herself back into her novel. She cuddled up beneath a soft throw in a corner of the couch and decided to close her eyes for just a few minutes. The next thing Debbie knew, she was startled awake by the sound of an electrical hum and the reappearance of light from the lamps in the room. She rubbed her eyes. The clock on the mantel read three o’clock, but since she hadn’t changed it yet, that meant it was really just two o’clock thanks to the time change. She massaged the crick in her neck. Clearly, she needed to head down the hall and get to bed. 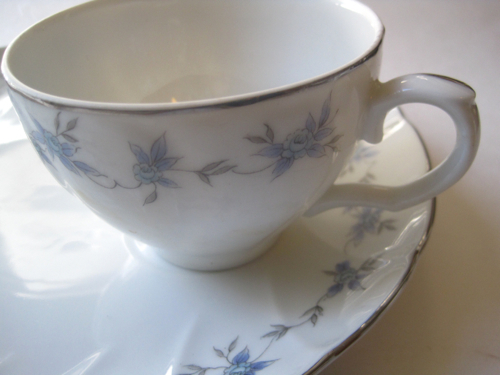 First, though, she carried her empty teacup into the kitchen and rinsed out the brown clock face teapot. Only … the teapot’s hands were pointing to three o’clock, not two o’clock. Debbie stared at the teapot. I know that teapot read two o’clock earlier, she thought. She shook her head. Her mind was playing tricks on her, clearly. Shaking off the strange feeling about the teapot, Debbie headed to her bedroom and dressed for bed. She would pick up Scott from the airport in just a few more hours, and she couldn’t wait. She always felt safer when he was around. Meanwhile, back in the kitchen, a small black spider crawled out from his home beneath the dishwasher and slowly made his way up the counter and onto the vintage brown teapot. He climbed onto the clock face, which was still a little slippery thanks to that soapy rinse, and heaved and panted as he pushed the hands back into the two o’clock position. And with that, the spider skirted back to his hideaway beneath the dishwasher, where he would remain until spring. Sharing a little Halloween Joy! I truly treasure the gift of a card. A printed card is welcome, and so is a handwritten notecard, but a *handmade* card is a real treat, and this week, I got one from Joy, a faithful reader and encourager of this blog! This may seem silly, but I love seeing her comments first thing in the morning because that means the word "Joy" is the first thing I see in my e-mail, and who doesn't like to begin their day with Joy! 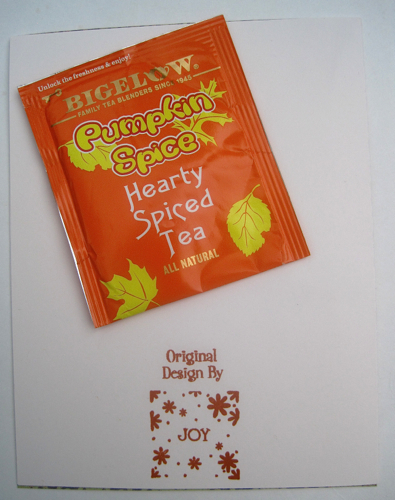 This time, Joy was wishing me a Happy Halloween with a card and a cup of Bigelow's Pumpkin Spice tea (one I haven't tried this season, and it's nice and spicy, just the way I like a pumpkin tea to be). Thanks for spreading joy, Joy! 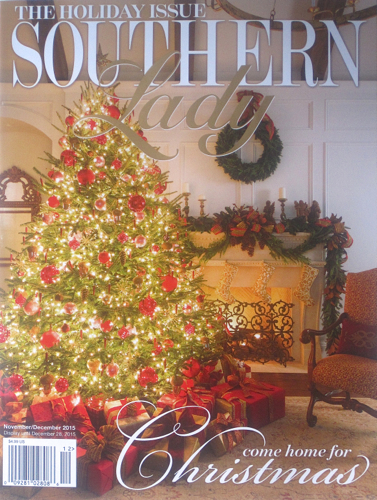 The Christmas issue of Tea Time hasn't hit the local newsstands yet, but I did pick up the Christmas issue of a sister publication, Southern Lady, and it is one of the prettiest magazines I've seen this fall. And while I've been to Disney World several times before, I haven't been at Christmas. 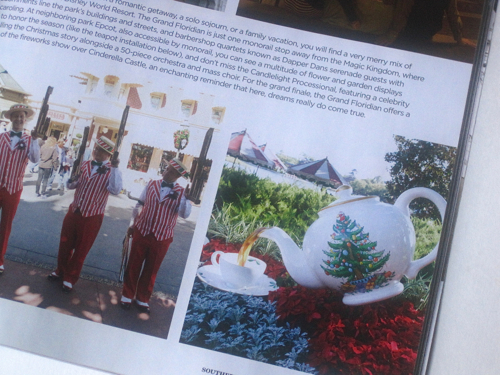 The Southern Lady feature on Disney's Grand Floridian sure makes me want to visit in December. All the Victorian Christmas decor is breathtaking, and I especially loved this teapot installation in their gardens. 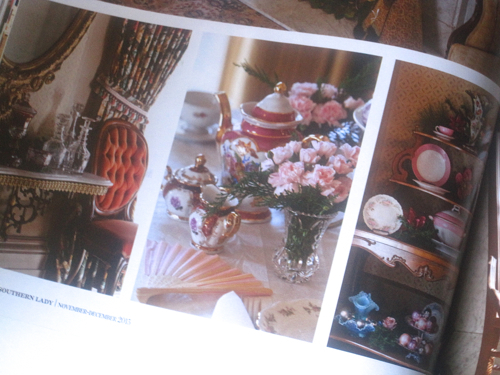 I was surprised by how many teawares I spotted in this issue, including these pretty pink ones in a feature on Eufaula, Alabama's Christmas Tour of Homes. With lots of great recipes, lavish table settings, and Christmas trees galore, this is a great issue to inspire us in the days of decorating ahead! Like most of us, I imagine, I have skills that you won't find on my resume. One of mine is that I'm good at solving a minor crisis. I learned this early, back in college, when I was at a journalism conference with a well-dressed girlfriend who was having a come-apart because she'd lost the back of her earring. "Do you have a pencil?" I said. "Yes," she said. I told her to pop the eraser out and use that on the back of the earring, and she thought I was a genius. Really, I was just a young reader of "Hints from Heloise," but my friend didn't know that. When I was in the magazine biz, my colleague and I were arranging flowers to go in a watering can that was going to be photographed for a magazine cover. We cut one of the stems too short, throwing off the whole arrangement. "Wait a minute. You've got some tape, right?" I said. Yes, she said. So we took a discarded stem, taped that flower to it, and voila, our arrangement worked out fine. Readers never knew those pretty stems were being held in place by tape. 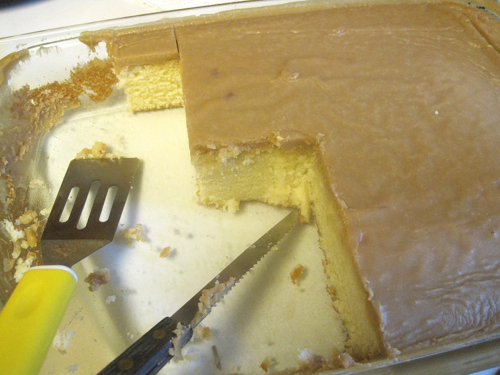 So when I was running out of time to make the evening's garden club refreshments yesterday, and I just happened to have half a caramel sheet cake left over from my morning Bible study luncheon (as often happens when you have a dozen desserts on hand), guess what? I pulled out a pretty new fall-themed charger from Michaels, sliced that cake into one-inch-square slices, and there you go. I'll bet my garden club buddies have no idea I didn't make these little cakes that way to start with. 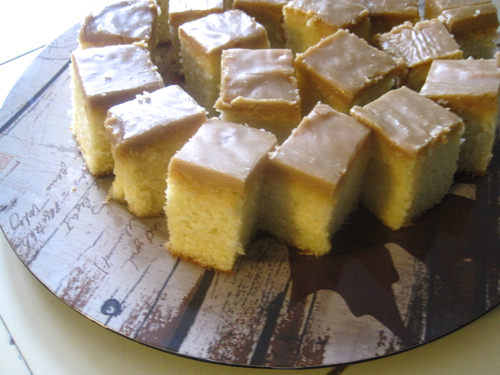 The caramel cake, by the way, is the same amazing cake I found in Kathryn Greeley's book (and blog) three years ago and have enjoyed making as both a pound cake and as the iced caramel cake. 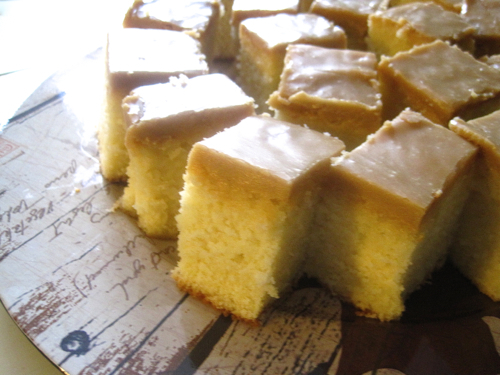 I'd always heard that caramel icing was difficult to master, but hers is easy and delicious … and this cake recipe has never let me down. Happily, that sheet cake is so large, after serving it at two different occasions yesterday, I still have a few slices left over to enjoy myself with some caramel tea! 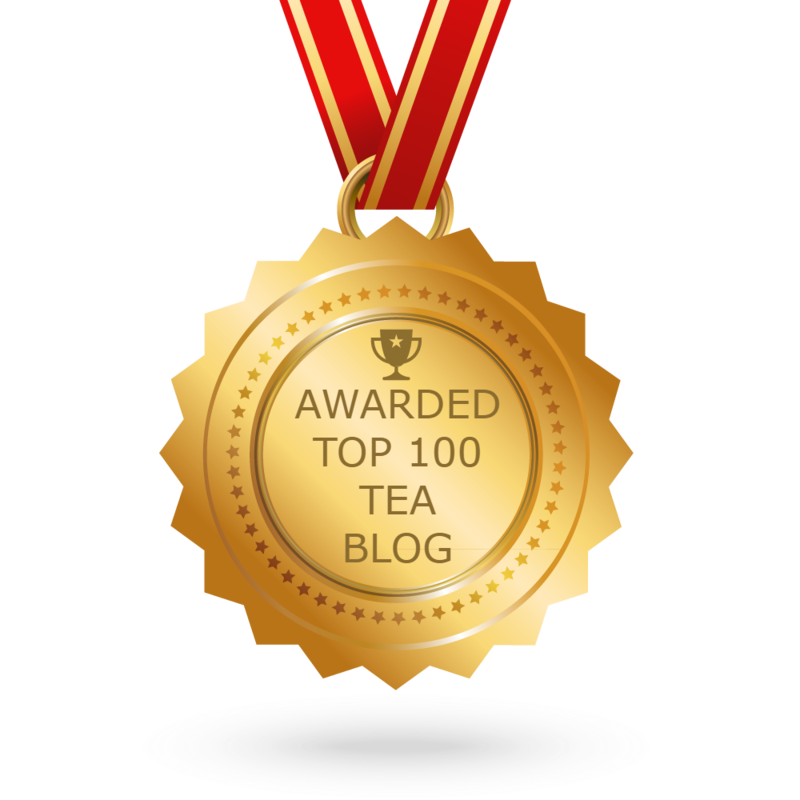 The tea sampler giveaway winners from yesterday are: Shirley; Blue Jeans and Teacups; Cindy A.; Nancy Carr; and Katie F. Congrats to the winners, and if you’ll all send me your snail mail address via the email button at right, I’ll get these samples headed your way! Hot tea one day, iced tea the next. Welcome to fall in Georgia! I thought I was officially through with iced tea for the year, but then we had a few days of temps near the eighties, and I decided I hadn't had my last iced tea this year after all. 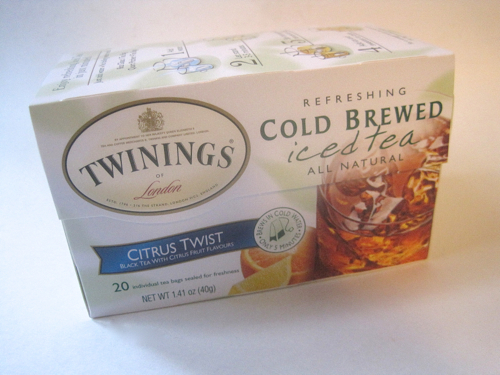 And of course we can buy (or make) iced tea all year round, but I found a new-to-me iced tea from Twinings at Ollie's Bargain Outlet the other day and decided to give it a try. What intrigued me most about this particular blend is that it claimed it would cold brew a glass of iced tea in just five minutes. Now I'm no stranger to cold brewed iced tea, but I've always allowed mine to cold brew for several hours, if not all night long. 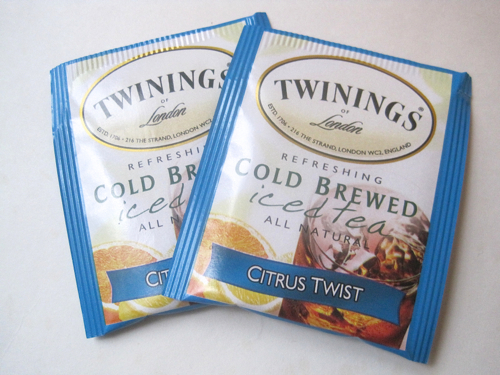 I am happy to report that this tea does indeed brew in the fridge, in cold water, in just five minutes! It's what I consider a classic lemony iced tea taste, and I can think of times when that would be just the thing I'd reach for in warm weather. Each tea bag makes one single eight-ounce serving, so if you're like me and fairly promiscuous in your tea drinking (which is to say, you like to play the field and won't commit to just one tea), these single-serve tea bags for iced tea are just the thing! 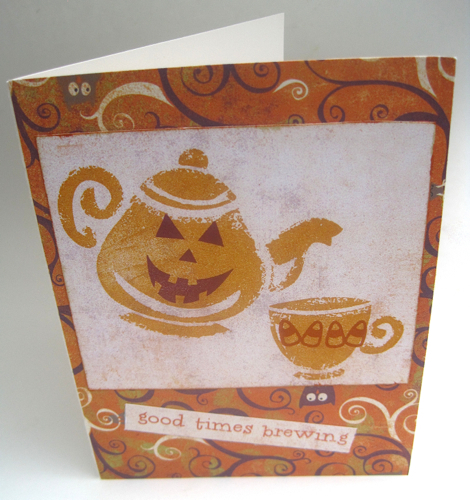 Surprised by chais … and giveaways for five! 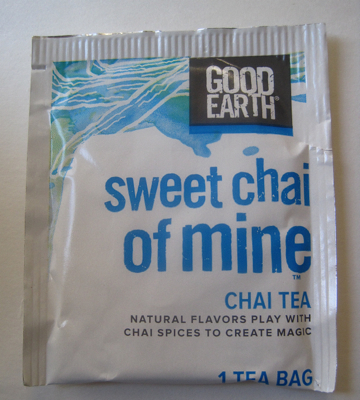 A few weeks ago, I received a complimentary package of teas from Good Earth, a selection I was only too happy to try. I reviewed the first three here, all greatly enjoyed. But I put off reviewing the other three because, to be honest with you, they were all chais, and my goodness, chais often taste alike, and what was I possibly going to be able to say about them? "This one was good (or bad). So was this one. So was this one." I was a little concerned about how I would review three chais, actually. 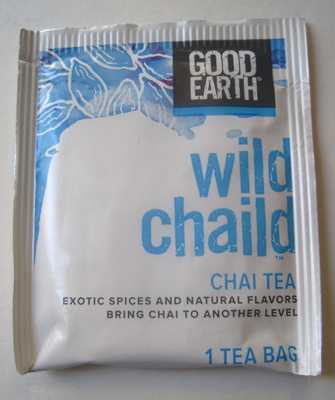 And then I steeped that first chai, Wild Chaild (love the name! 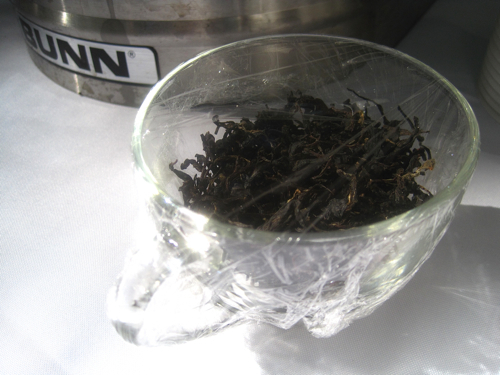 ), and I was impressed before I even sipped the tea. At first sniff, I got that familiar spicy scent of chai, but there was also a sweet something, almost like a chai had been crossed with a dessert tea. I took a sip. Heavenly! There was a sweet, creamy flavor to the tea, and since I still had not read the ingredients list on the box, I could only nod in agreement when I read it and confirmed that this was a caramel-flavored chai. I adore this tea! 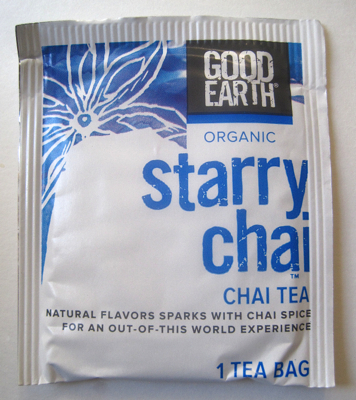 The Organic Starry Chai was the most mysterious of these three chais. Its taste was sweet but not like the Wild Chaild tea. There was a bit of a zing of something fruity, but I couldn't quite figure out what it was until I read the package. Cherry! Just a bit, but enough to make this chai unique. And Sweet Chai of Mine reminded me very much of the Wild Chaild chai, only instead of caramel, was that … a subtle maple flavor I was detecting? Why yes, yes it was! 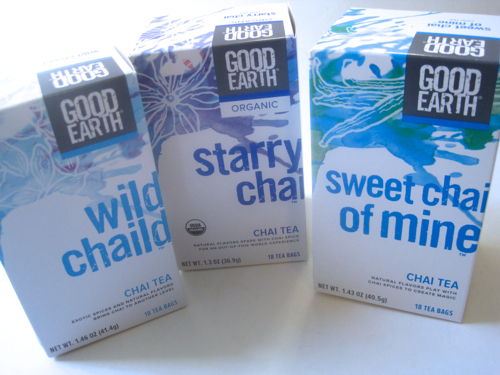 I certainly wouldn't have feared my taste test of these chais had I known how delightfully different they all are. And today, I want to share samples of all six of these delicious flavors (also including the Cocoa Tango, Sweet & Spicy, and Matcha Maker reviewed earlier) with some of you! I've prepared five envelopes with a teabag of each flavor. If you'd like to win one of these sampler envelopes of Good Earth teas, just leave an "Enter Me" to this post between now and 7 a.m. EST tomorrow and you'll be entered to win. Good luck! A long, long time ago, in a small town far, far away, there lived a beautiful teapot named Teapot Ella. Teapot Ella didn’t know she was beautiful, however, because she was living with her teapot stepmother and her two teapot stepsisters in a dusty, nearly forgotten antique shop. The stepmother, Teapot Hildegard, and the stepsisters, Teapot Myrt and Teapot Gert, were very unkind to Teapot Ella and constantly belittled her. In recent weeks, they’d seen her banished to the very back of the antique shop. She lived on the bottom shelf of the clearance rack. Sadly, few customers ever looked there. Hildegard, Myrt, and Gert excelled at self-promotion and managed to worm their way into the antique shop’s most prized spot, a lighted display case up front, where they preened and primped for passersby. They were quite proud of their steep price tags, even though it never occurred to the teapot ladies that those steep prices were keeping them prisoners in the shop. Their lofty estimations of their own worth, however, were all it took to keep them happy. Then one day, there appeared two women who had never visited that antique shop before, Grace and Mercy. The two had been out visiting a friend when they decided to take a peek into the dusty little shop. Myrt elbowed Gert with her handle, and Gert got her back with a swift tap to the spout. The girls laughed uproariously. No antique shop owner in her right mind would send teapots as beautiful as they were back with the lowly specimens like Teapot Ella. As usual, the teapots in the front case got the visitors’ attention almost immediately. Hildegard sniffed in disdain when she heard that comment. Amateurs. Clearly, those women didn’t know a quality teapot when they saw one. Their loss. Grace held up a beautiful pink teapot that was missing its lid. 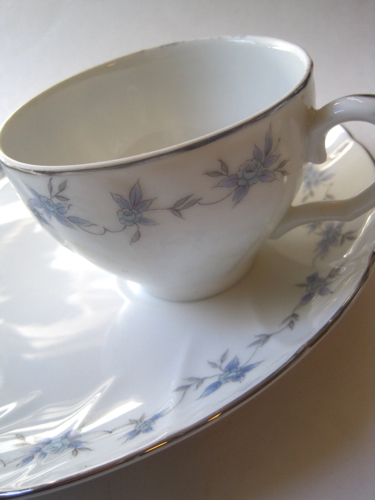 The softly colored rose design was quite becoming, and Grace blew on the teapot, dislodging a small film of dust. Grace shook her head. “I guess that’s why it’s on clearance.” But Grace kept looking and spotted what certainly looked like a lid stuck back in a corner of that same shelf. 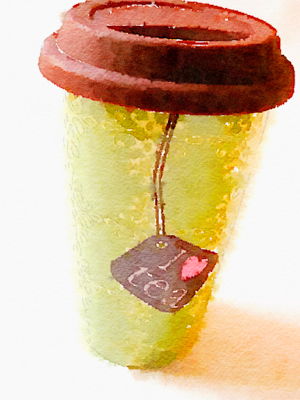 She gently placed it on the teapot, and it was a perfect match. 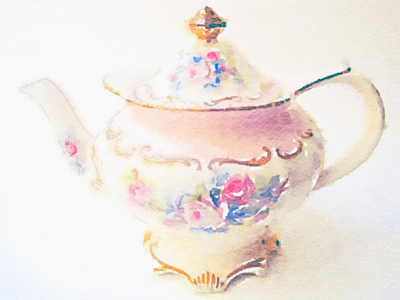 It was the loveliest teapot Grace had ever seen. Soon, the women were standing at the checkout counter in the middle of the store and paying for their purchases. The shop owner was handing over Mercy’s change when all three women heard a squeal and a creak from the front of the store. Three heads turned. Then, a shattering sound filled the air. All eyes turned to that lighted display case. The glass shelf displaying the three teapots Mercy and Grace had seen earlier had suddenly crashed onto the shelf below. The women rushed up in time to see a sad, broken mixture of red, purple, and green porcelain. Teapot Ella, already wrapped and inside a plastic bag, couldn’t see what had happened, but she feared the worst. For months now, she’d heard the shop owner telling her husband the hinge on that shelf was about to give way. Teapot Ella had warned her stepmother and stepsisters, but they had laughed off her concerns. Teapot Ella hoped she hadn’t just heard the muffled cries of their demise. As she was carefully ushered into her new home, Teapot Ella was excited to think of the new life she was about to begin. She wondered if there would be other teawares and whether they would accept her into the family. With a soft thud, Teapot Ella was placed on the kitchen counter and released from the layers of tissue that had surrounded her. To her delight, she looked up into the face of the most tall, dark, and handsome electric tea kettle she had ever seen. Teapot Ella’s new owner rinsed her out with warm water, added a few teaspoons of loose leaf tea, and pressed a button on Prince Warming. Soon, he and Teapot Ella were making beautiful tea together. All the unhappiness of her past was forgotten in the joy of being paired with the tea kettle she’d waited her whole life to meet. 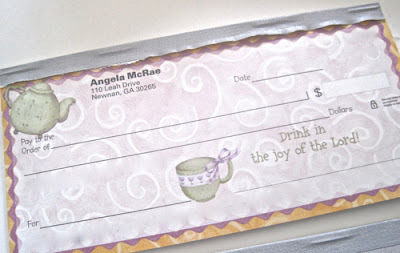 Do y'all write checks anymore? Thanks to the convenience of online bill paying, I rarely write a check these days, so when I used up the last check in my wallet recently, I wasn't even aware it was the last one. 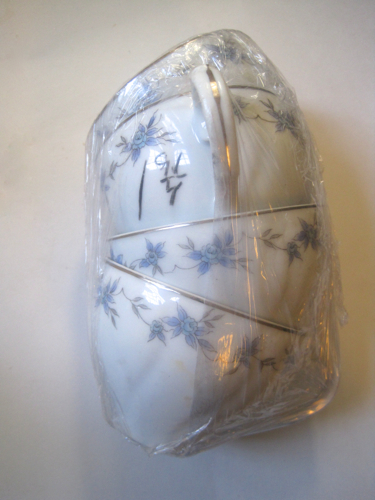 Thus began a mad dash to order some new checks, and this time I went with a teapot and teacup design I found from Promise Checks. And while I don't mind sharing my snail mail address (I think half of you have it already), I carefully edited out my banking information on the photo above, but rest assured, the checks do come with a routing number and account number! 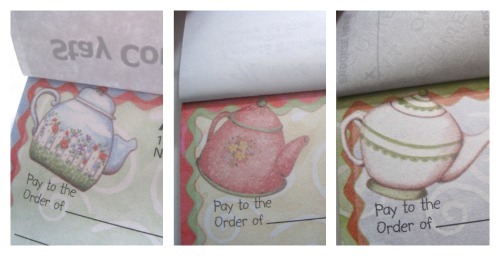 I thought the teapot designs were so cute, and I have a feeling I'll be using these checks for a long time to come. Originally, I picked up these rather large tea and toast sets at Goodwill in Rome over the weekend and put them back down. But then I thought, oh heck, it's less than $5 for the whole set, so I might as well get them. They're marked "546 Rosita" and are probably Japanese, which is not my favorite type of teaware, but still, I can see these coming in handy someday, and I figured I would regret not getting them more than I would regret getting them! 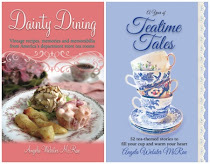 Besides, as I told my husband, one day, I may need to loan them to my friend who had the tea party at the nursing home and recently borrowed all the tea and toast sets from me. I'm not sure he bought it, but I really did take that into consideration when I made my purchase! The more I looked at them, the more they grew on me. 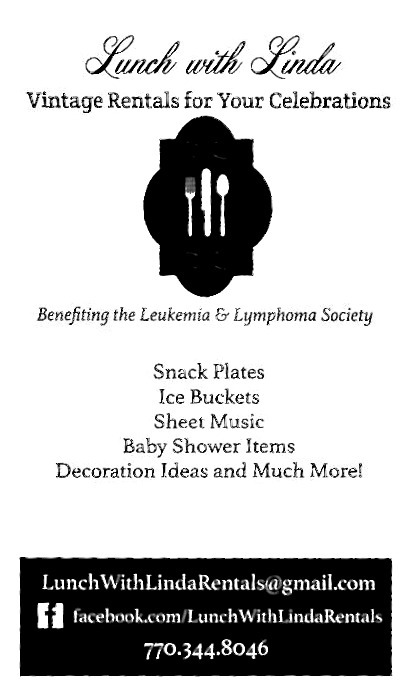 It still kills me, though, that Goodwill packages these items separately. 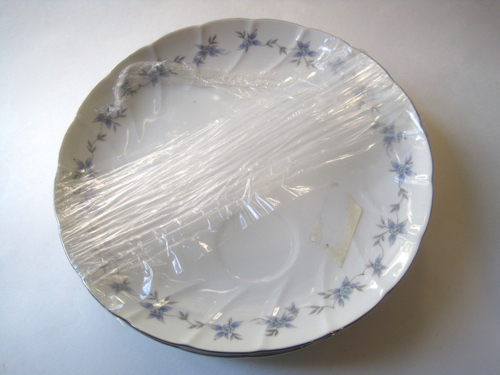 The four plates with indentations were $2.92. And the four cups were $1.91. 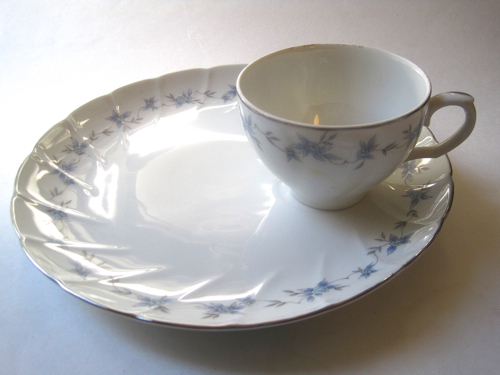 They cleaned up beautifully, and at $1.21 per tea and toast set, I figure I can't complain! It's never too early to shop for tea-themed Christmas ornaments, and I was delighted to find three new ones at Cracker Barrel last week! Aren't these porcelain ornaments pretty? 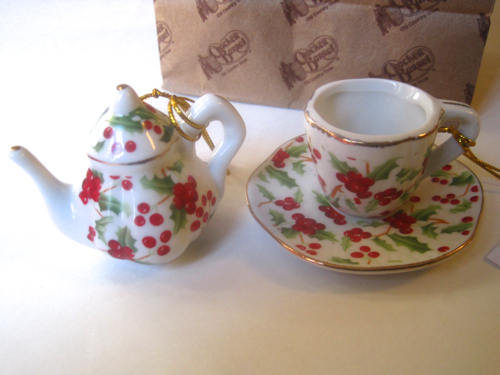 They look like Christmas chintz, and at $2.99, they won't break the bank. 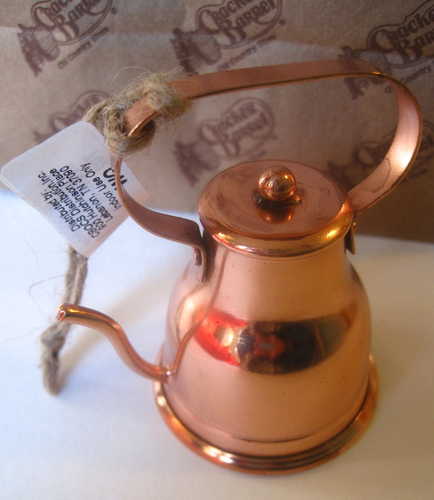 And the pretty copper tea kettle was $3.99, which I thought was a good price as well. And as always, if you're out shopping and spot some tea-themed Christmas ornaments this year, I'd love to hear about them! Well, okay, maybe it's a *slight* exaggeration to say these loaf liners are the greatest thing since sliced bread, but I am so excited by mine, I just had to share! In recent years, when baking tea breads, I've learned to both prepare the pan with cooking spray and line it with parchment paper. And although that produces a nice, clean loaf, I've still had the problem of wonky-shaped corners on my tea breads. Not anymore! I found this package of 40 Made-in-England loaf liners at HomeGoods recently for $4.99, and I absolutely love them. I didn't spray the pan at all, just plopped one of these loaf liners into the pan, poured in the batter, and started baking. 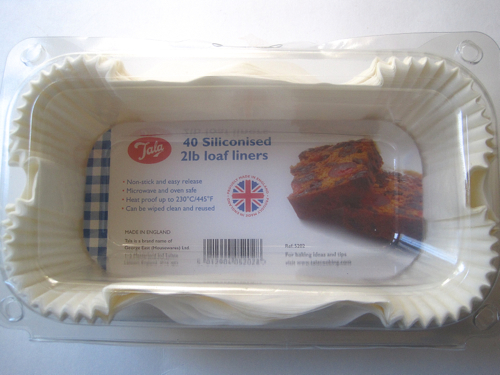 I also like the fact the resealable plastic container keeps these loaf liners in pristine shape until they're needed. 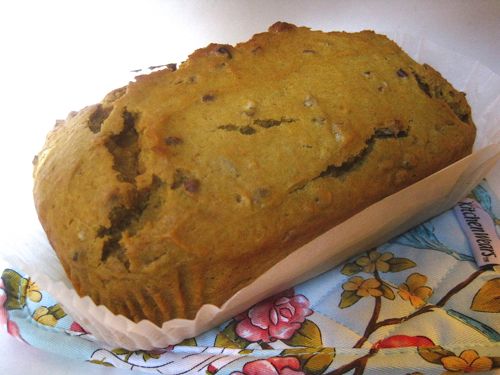 This loaf of Pumpkin Chai Tea Bread (recipe here) came out of the pan oh-so-easily. No more spraying and guestimating how much parchment paper to add to the pan, and not one part of the loaf sticks to the liner. 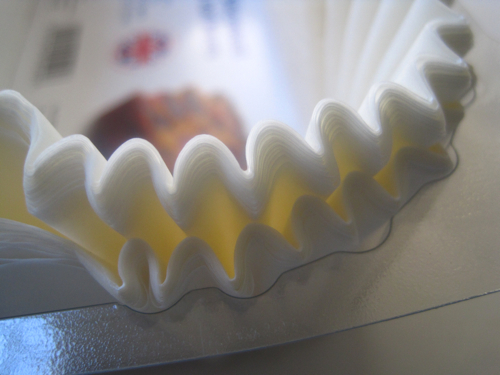 Loaf liners, where have you been all my life? 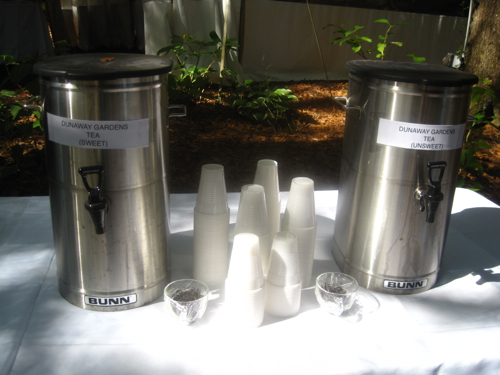 Sampling some Dunaway Gardens tea! 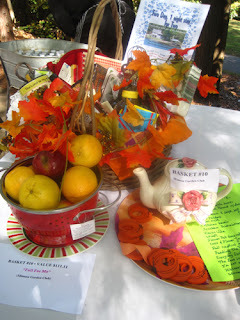 Last week, I had the pleasure of being a guest of a Garden Club of Georgia member at the group's Redbud District meeting held at Dunaway Gardens here in Newnan. 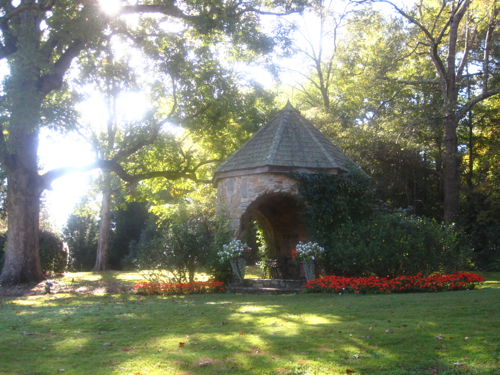 Dunaway is a beloved local treasure, and the gardens first opened in 1934 and were established under the direction of Hetty Jane Dunaway, a famous Chautauqua actress, on the family land of her husband, Wayne P. Sewell. They operated a theatrical training ground here, and perhaps the most well-known of its performers was Sarah Ophelia Colley Cannon, who got her start at Dunaway and went on to become known as Minnie Pearl. 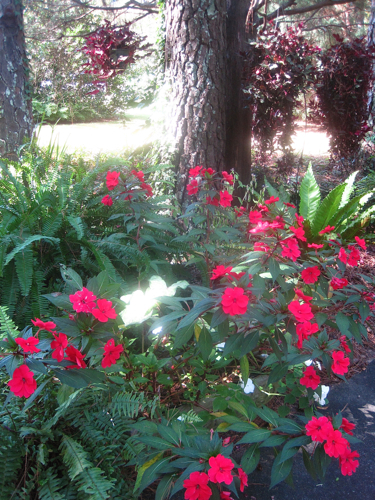 Dunaway Gardens was quite famous in the twenties, thirties, and forties, and Walt Disney was one frequent visitor. 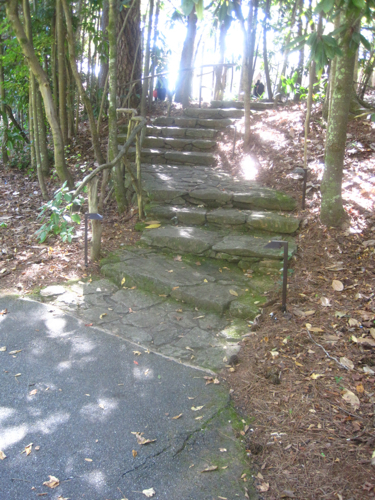 Like so many once-loved places, this one fell into neglect, and the lovely rock gardens became overgrown and forgotten. In fact, my first glimpse of the gardens was as a trespasser! When I moved to Newnan in 1986, some of my colleagues (who should probably remain nameless) took me out there and shared the Dunaway legend. I could not believe such grandeur had been allowed to slip away, and like everyone else here in Newnan, I was so happy when new owners bought the property and restored the gardens, which are again being enjoyed today. 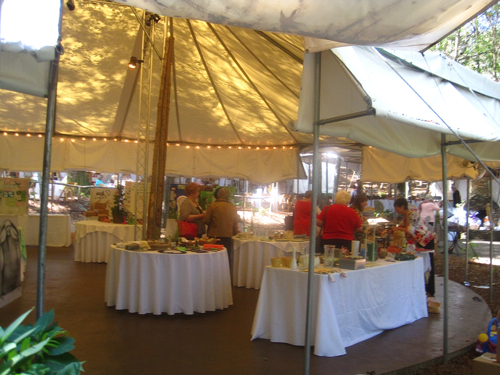 The garden club ladies had quite a day planned, beginning with informational exhibits and a "country store" set up under one of the tents. 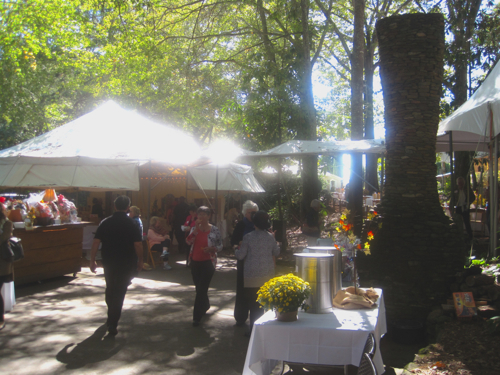 Refreshment tables lined some of the paths, and I was delighted to see the out-of-town ladies enjoying Dunaway Gardens. Even though Dunaway technically belongs to the Bighams now, I think most of us in Newnan feel a sense of ownership that such a magnificent, history-rich place is ours. 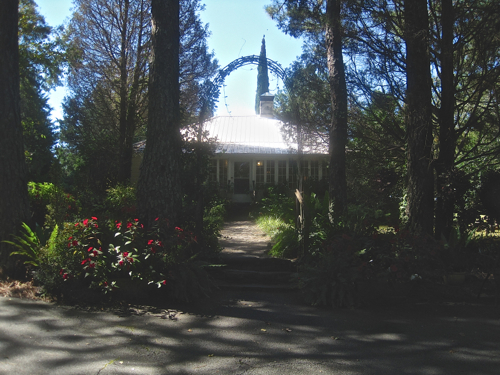 When I was there last week, I fondly recalled a beautiful wedding I attended there just a few years ago. I thought it was nice, too, that they had some of the loose leaf tea sitting out for the visitors to see. Also at the club meeting, I was delighted to see that so many of the clubs had prepared lavish baskets for door prizes, and quite a few of them included teawares! I'll conclude today's post with a few random shots from the day, and if you'd like to learn more about Newnan's beautiful Dunaway Gardens, click here! Sarah Harrison was feeling frazzled. Why was she always the one who got roped into doing the jobs no one else wanted? Just because she was a stay-at-home mom, everyone thought she had unlimited amounts of time, energy, and resources and could serve with the PTA, her sons’ soccer leagues, and the church youth group. Stay-at-home mom? By Sarah’s calculations, the last time she’d actually stayed at home was one day in January when both boys were sick with the flu. That morning, Sarah’s day had started with an hour working the bake sale at Eli’s school followed by another one-hour shift at the book fair at Logan’s school. After ordering twenty-five dollars’ worth of books Logan would probably never read so that he could win a “free” T-shirt, Sarah sped through McDonald’s for a chicken biscuit. Her trusty travel mug with the “I Heart Tea” logo sat in her SUV’s cup holder, and she was pleased that her ginger-flavored black tea was still fairly hot. While stopped at a red light, Sarah whipped out her cellphone and typed cereal and milk on the list of grocery items she needed to pick up. 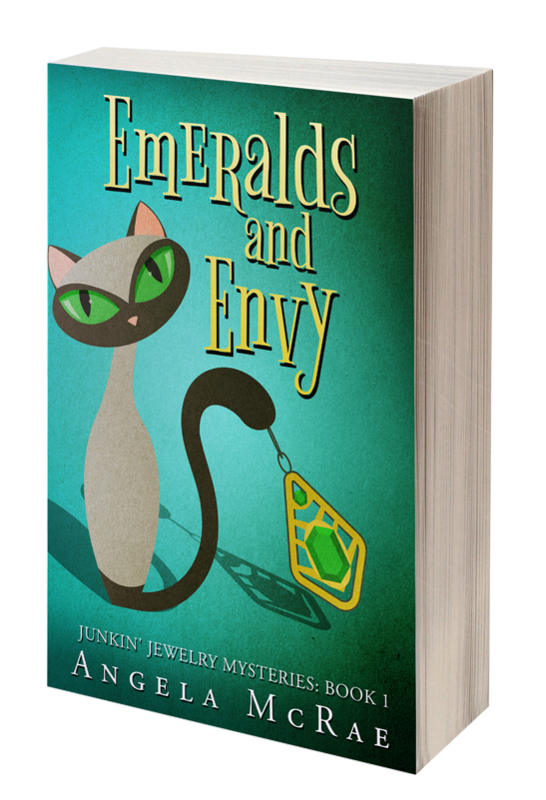 The red light turned green, and the car behind her honked. Sarah was tempted to let the driver know what she thought about that, but she was in a hurry, too, headed to the monthly committee meeting of the downtown merchants. Brad Harrison, her husband, owned a small insurance agency downtown, and Sarah represented Harrison’s Insurance Agency at the merchants’ meetings. Sarah tried to switch gears from school fund-raising and think about her report to the merchants. She was in charge of coordinating refreshments for the downtown Christmas Open House. When she got to the meeting, the business owners were complaining about the parking situation and gossiping about the merchants who hadn’t participated in the fall decorating contest. I can’t believe these people have nothing better to do than sit around worrying about whether their neighbor has a pumpkin outside the door. Sarah realized she’d been nervously bouncing her foot up and down when Mary Ellen Simpson, who owned a downtown florist, gave her a disapproving look. Mary Ellen lived for those monthly committee meetings and took seriously her position as president of the merchants’ group. Mary Ellen asked everyone to note a few dates of upcoming meetings, and some committee members pulled out their smartphones to add dates to their calendars. Sarah pretended to do the same, but actually she was typing vitamins onto her grocery list. After Mary Ellen finally adjourned the interminably long meeting, she asked Sarah to stay behind. Mary Ellen wanted an update on the refreshments list for the Open House, which annoyed Sarah. If Mary Ellen didn’t trust Sarah to do it, why assign her the job? “You know, Sarah, I envy you,” Mary Ellen said. Sarah was about to give Mary Ellen a snippy response when Mary Ellen’s phone rang. “Hi, Mayor Hudson,” she said, pointing to her phone and mouthing “Excuse me” to Sarah. Sarah rode home fuming. No one seemed to appreciate her volunteer work, and what was she really accomplishing? That night after supper, Sarah told Brad about her day and repeated what Mary Ellen had said. 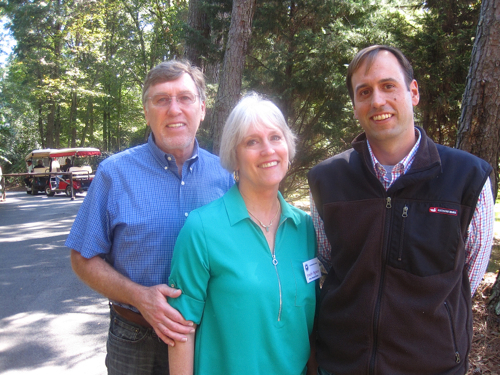 “If you don’t enjoy volunteering, don’t do it anymore,” Brad said. As Sarah prepared to load the dishwasher, her phone rang. She looked at the touchscreen. It was her friend Karen, the PTA president at Ethan’s school. “Um, Karen, let me stop you right there. No,” Sarah said. “Are you sure?” Karen sounded genuinely puzzled. “Well, all right then,” Karen said before hanging up. Sarah felt slightly guilty, but it had felt great to tell someone no. Strangely, she didn’t feel she owed anyone an explanation for her decision. Next, she would try saying no to the soccer league. As Sarah finished loading the top rack of the dishwasher, she popped in the travel tea mug she’d grown so used to sipping her tea from as she burned up the roads each day. Maybe she’d do like her mom and start drinking tea from a teacup instead. Or maybe she’d have the neighbors over for tea. Maybe she’d start a tea business. Then Sarah caught herself and smiled. Or maybe I’ll just read a book, or watch a TV program, or enjoy a cup of tea. 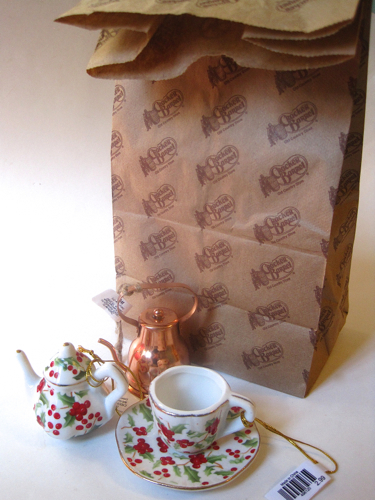 A new website to visit for tea history! 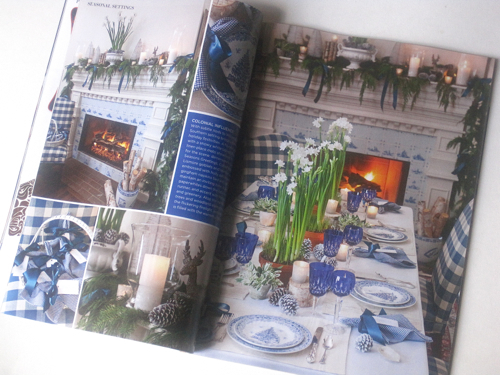 October Giveaway: Teatime Holidays magazine!